Case studies are a beneficial component of your enterprise marketing strategy in a variety of ways. They put a human face on the features and benefits of your product. Your potential clients and customers will relate to others who have benefited from the features you offer. Just reading about and seeing the path someone else has followed to success is inspirational and motivational. 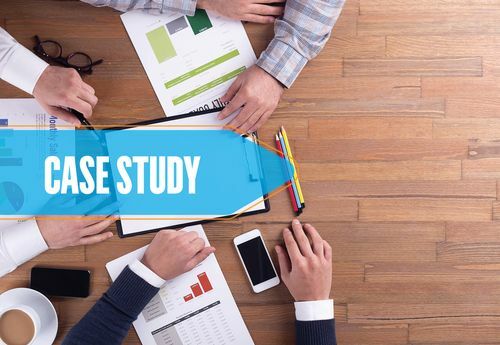 Using case studies is a cost-effective way to present your product in a way that your target market is certainly going to understand, relate to, and be motivated to action by. A case study is primarily a narrative. Information should be gathered and organized in an easily absorbed chronological order. Your case studies are stories of how clients found your product and then how your company services have benefited them and aided in their success. It should be highly readable and convey key information throughout in a casual and indirect manner. The subject of the study is the primary focus. Your case studies should be people-focused rather than focused on the product or services. Case studies should cover experiences that your potential clients and customers relate to and deal with in their lives. Commonalities should be highlighted. Makes sure the subjects of your case studies fully understand how their story will be used in your enterprise marketing. They will need to sign a consent form that you keep on file. Hire a professional photographer and videographer to make high-quality images and videos. Prepare some questions in advance that will help them communicate their story in a way that relates to your target audience. Always be mindful to respect your case study participants’ privacy and avoid any areas that may be sensitive or uncomfortable for them.